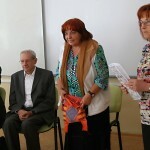 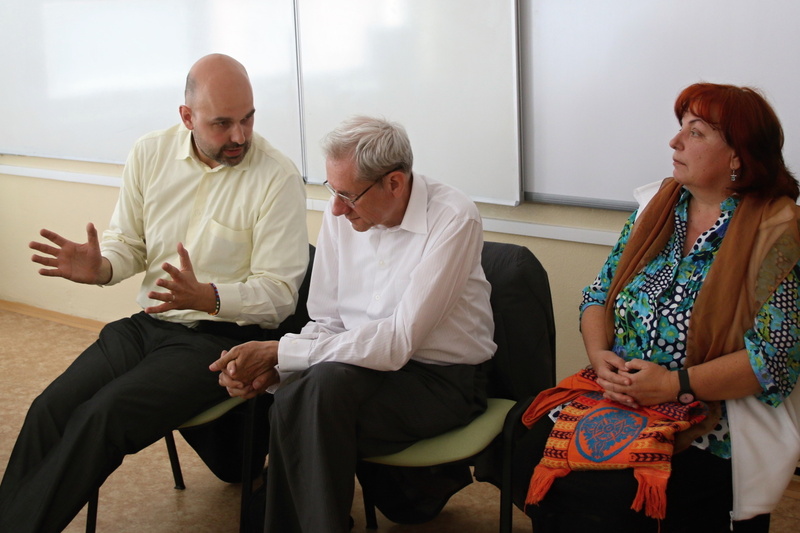 On May 15, 2017, Mário Nicolini, Honorary President of the Euro-Atlantic Centre, Jozef Dravecký former Ambassador of the Slovak Republic, and Anna Galovičová, chairwoman of the Slovak Anti-Poverty Network, have visited Grammar School in Bánovce nad Bebravou to debate about the Slovak memebership in the EU and to answer the students´ questions. 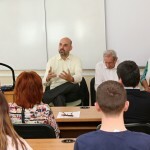 Discussion is a part of the project which Slovak Security Policy Institute organizes in cooperation with the Representation of the European Commission in the Slovak Republic. 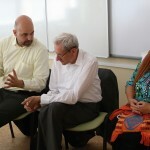 So far, discussions were held in Trnava, Vrbové, Martin, Banská Štiavnica, Snina, Humenné and Rajec.